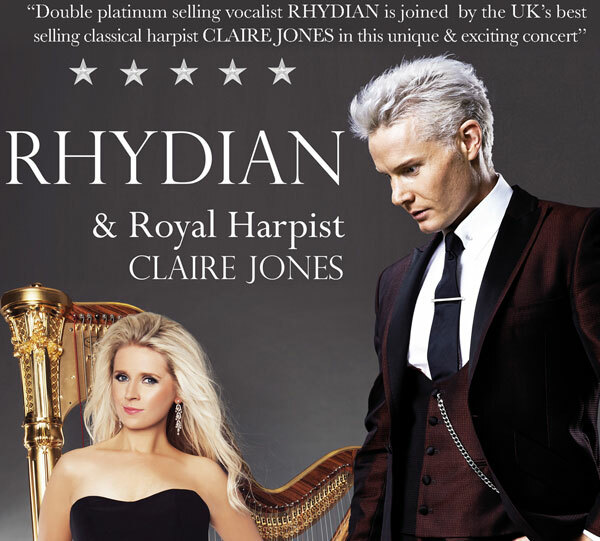 Award winning, double platinum selling vocalist Rhydian is joined this year by renowned harpist Claire Jones. Friends for many years, the pair have achieved chart topping success and legions of fans across the globe. Claire has been the official Royal harpist for 4 years and Rhydian works closely with Prince Charles as an ambassador of the Princes Trust. They are thrilled to be bringing their show to the Brangwyn Hall Swansea this year. Not only will you get to hear Rhydian and Claire at their best but for one night only they will be joined by Britain’s Got Talent finalist and Golden Buzzer winner Gruffydd Wyn, whose natural tenor voice has touched millions of fans. The concert will include an eclectic mix of music and their talent will be sure to leave you wanting more.